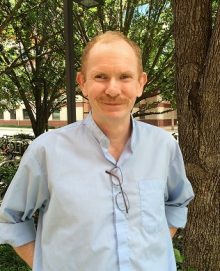 Home Research Faculty Robert McKenna, Ph.D.
Research: Structural studies of carbonic anhydrase, carnitine acetyltransferase, prenylating enzymes, actin complexes and the replication proteins of adeno-associated virus. Professor Robert McKenna received his Ph.D. in crystallography at the University of London in 1989 under the direction of Professor Stephen Neidle for work on structural studies of nucleic-acid-targeted anti-cancer drug design. He then joined Professor Michael Rossmann’s laboratory at Purdue University, where he carried out research on structure to function correlation for ssDNA virus capsids. In 1995, he joined the Department of Biological Sciences at the University of Warwick, England, UK, as a research fellow, where he continued his research on structure-function analysis of virus capsids. Dr. McKenna joined the faculty at the University of Florida in 1999. My research interests are focused on interpreting how the structure of a biological molecule plays a role in its function. 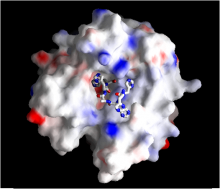 We use the techniques of X-ray and neutron crystallography an d in-silico modeling to obtain 3D structural information and correlate this to mutational, kinetic, and biochemical data. The result is a structural map of the biological molecule in the context of its function . The goals of these studies are 1) to understand the mechanism of how the system works, and 2) to develop therapeutic strategies of treatments of human diseases attributed to these targeted biological molecules. Current studies include: Carbonic anhydrases, manganese superoxide dismutase, HIV-protease, malaria-plasmepsins, the cancer-associated Mycoplasma hyorhinis protein Mh-p37.